Valve has been forced to update the Steam VR beta in order to keep up with ‘Beat Saber experts.’ according to the patch notes, released on Friday. “Increase limits of what we thought was humanly possible for controller motion based on tracking data from Beat Saber experts,” the patch notes stated. It seems that there are “sanity checks” in place within the VR programming to prevent movement being misread. One of these checks is the presumed maximum speed that it’s physically possible for someone to move their wrist, but it seems Beat Saber players have proved them wrong, prompting the update. 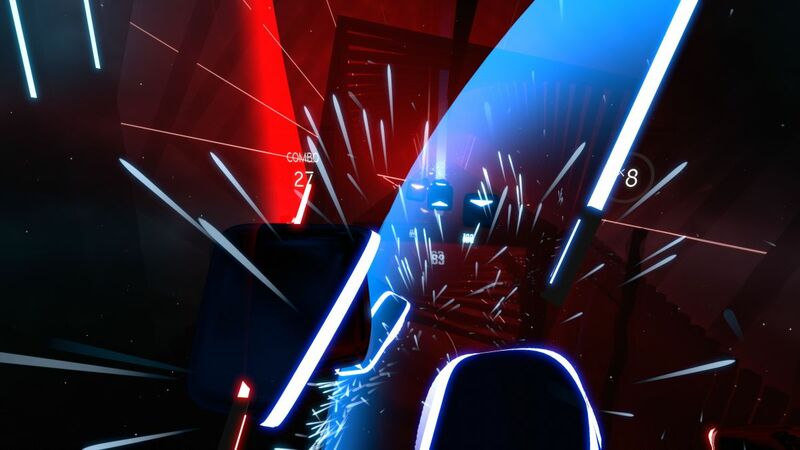 If you’re unfamiliar with Beat Saber, imagine Guitar Hero with lightsabers and you won’t be far off the mark. The VR rhythm game entered Early Access last May and has earned Overwhelmingly Positive reviews on Steam since then. If you’re curious as to how the game looks and plays, it’s well worth checking out this perfect run of a custom Beat Saber track.